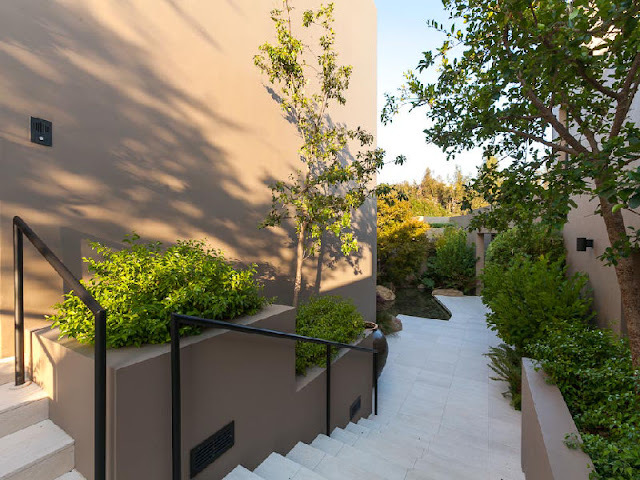 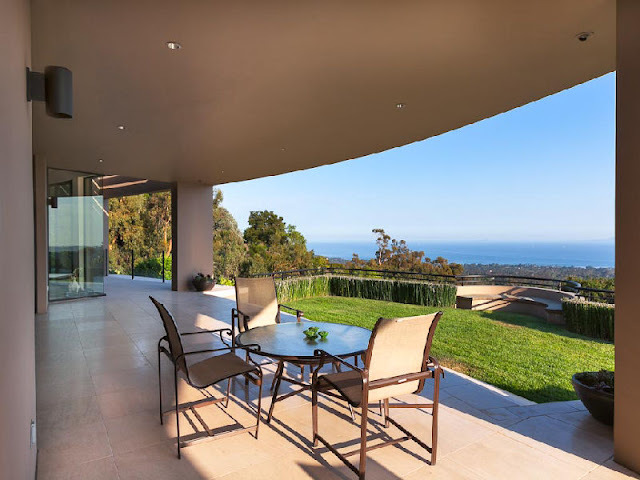 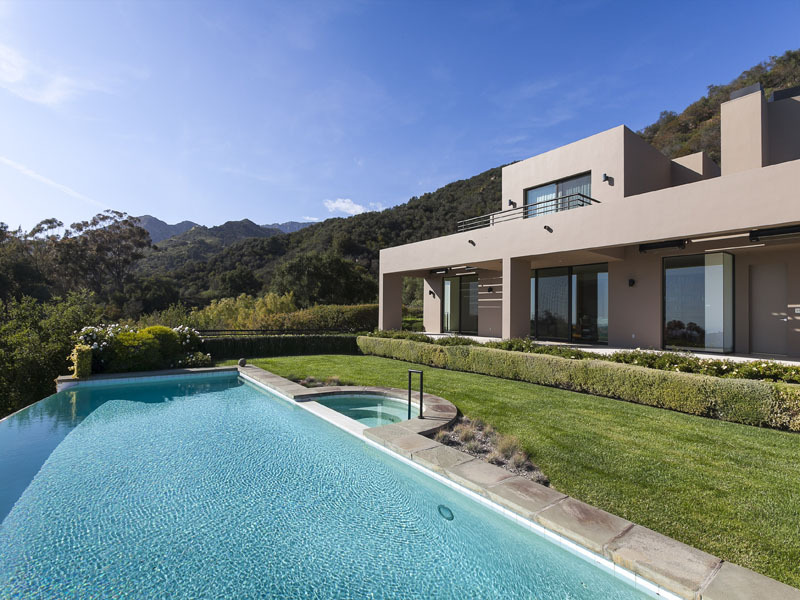 Sotheby's International Realty listed this beautiful modern house for sale located in Montecito near Santa Barbara, California. 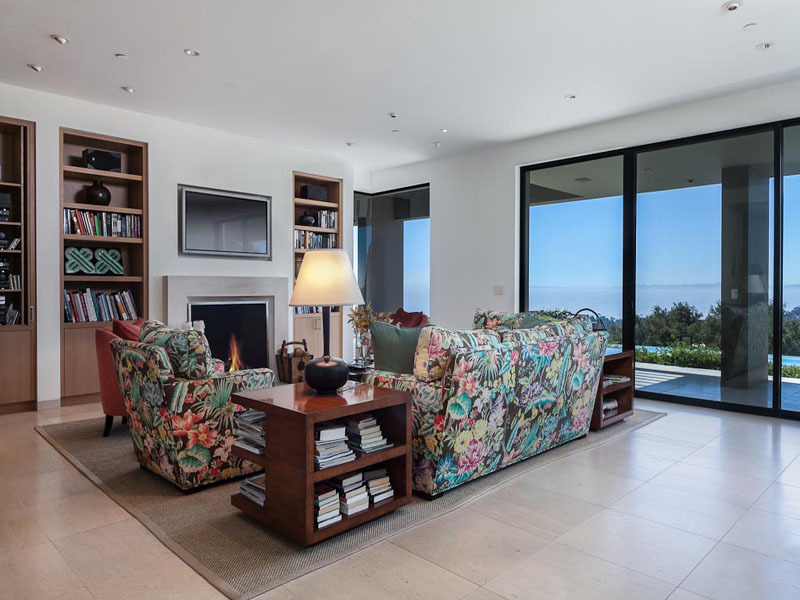 Amazing home is offering 4 types of views; island view, mountain views, water view and ocean view. 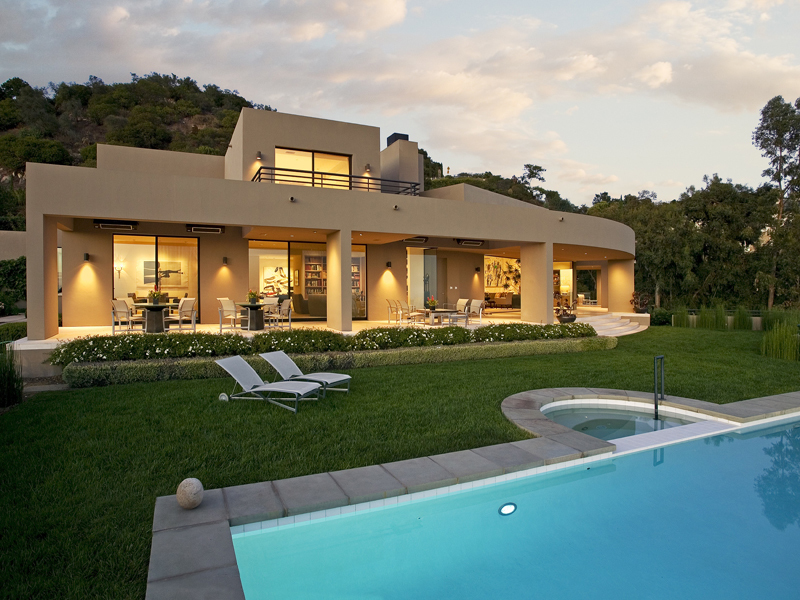 It's your choice whether you will enjoy those views from the home or the pool. 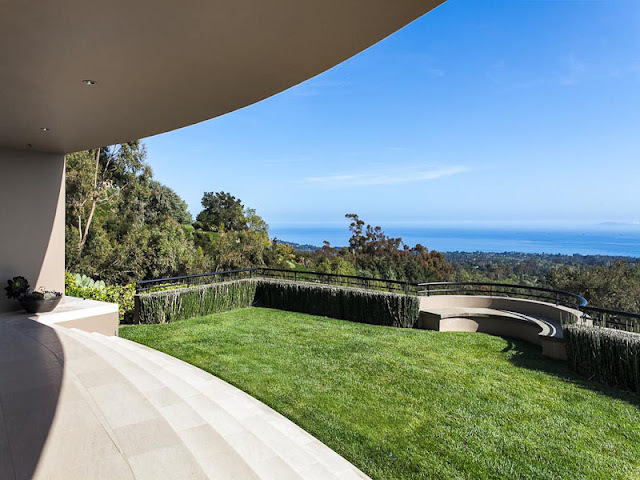 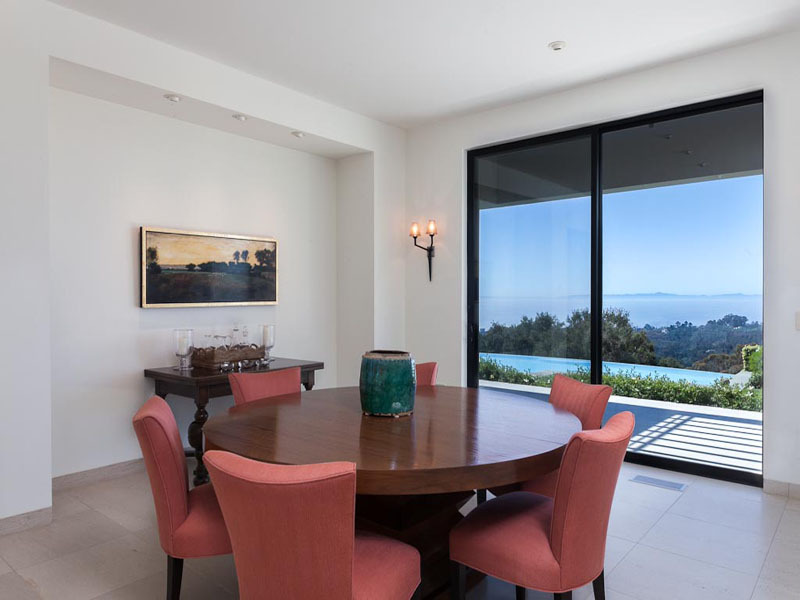 "Stunning Montecito contemporary home designed by John Kelsey to nestle into the approx. 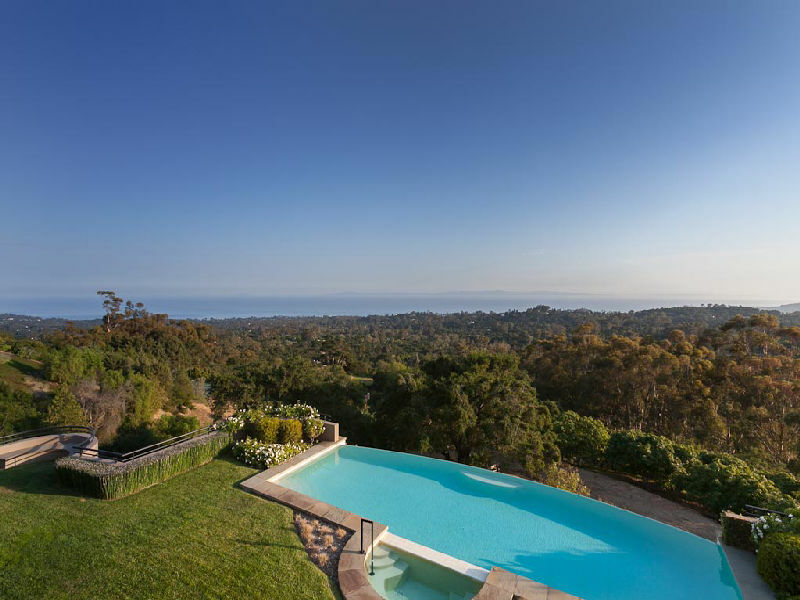 seven-acre site, offering panoramic views of ocean and islands. 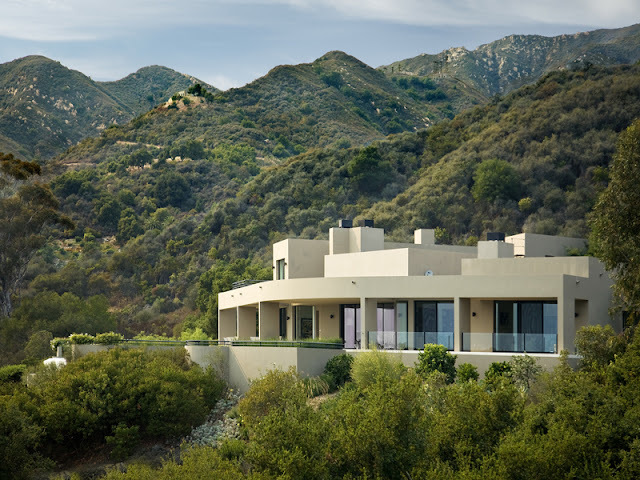 The dramatic home is comprised of a main level with formal entry, full wet bar and gourmet kitchen, separate dining room, den/library, large open living room, and master suite with separate office, all surrounded by floor to ceiling glass taking advantage of the amazing views and perfect walls to showcase any art collection. 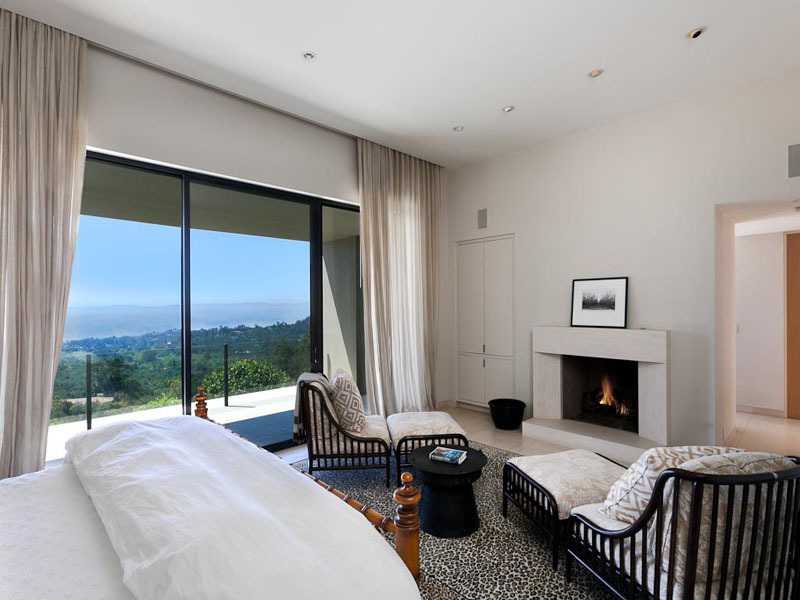 Upstairs there are two additional bedroom suites, each with its own views and terraces. 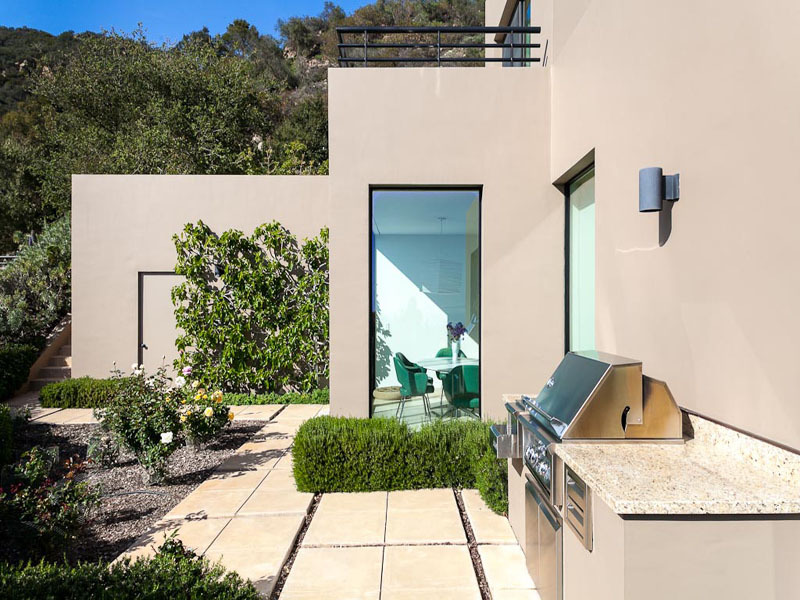 All the public rooms overlook the infinity pool, covered patios and gardens, and just off the kitchen and dining room there is a built-in BBQ area perfect for entertaining. 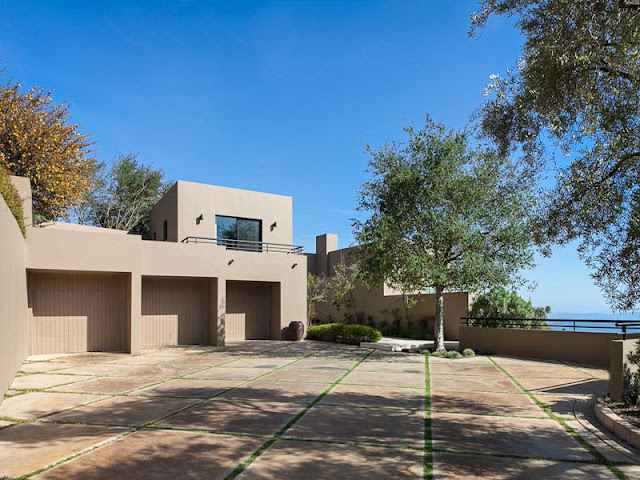 The home is completed by a full three-car garage situated below a separate, one bedroom guest house."